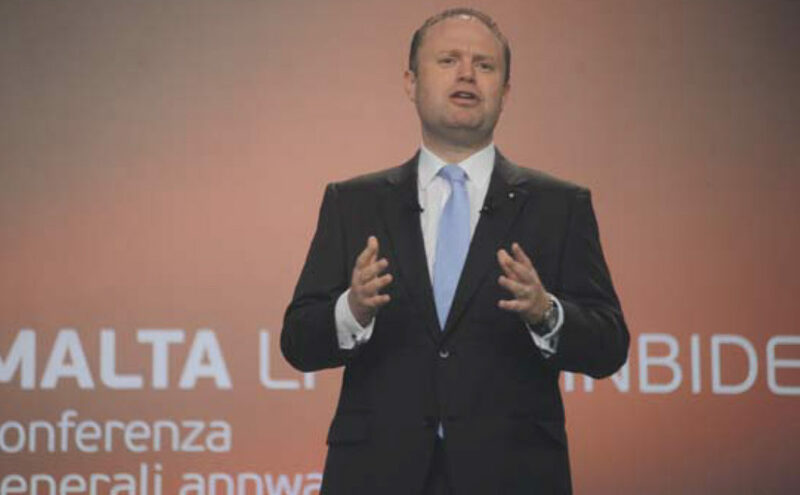 How low will Muscat sink to cover-up the Libyan visa scandal? In the past three years we have found that the scandals of the Muscat government are both more numerous and more severe than those of the previous government. The Café Premier, Australia Hall, the Old Mint Street property and Panamagate. The Libyan visa scandal is, however, by far the most damaging corruption revelation in the life of this government. How low will Muscat’s government sink to cover up this abuse? Will the government undermine the freedom of the press? The traditional parties have always used their media to spread their views. That is fine as long as there are other independent news sources. 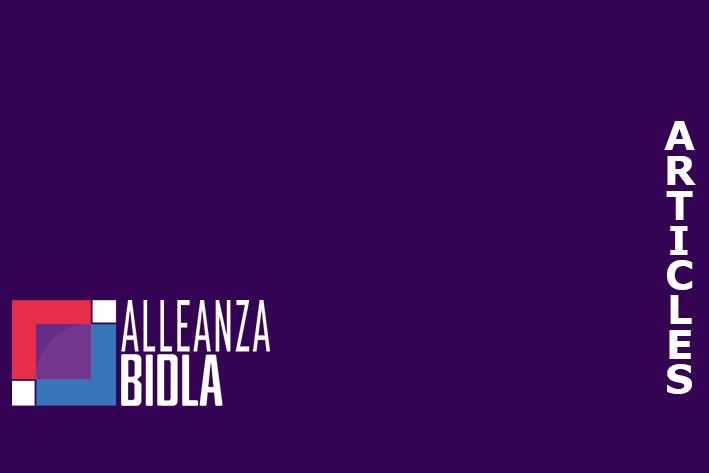 Alleanza Bidla has offered to air a programme with the ‘whistle blower’ to several TV stations. None have so far accepted our terms to have a programme in which the whistle blower gives his testimony in the story that dominates the press. TV stations in other European countries would not normally refuse such an exclusive story. It used to be the case that everyone had the right to their own opinion but not their own facts. We now see how the government and progressive liberal press are joining the new style of political debate. Lies and truths are given the same standing and facts and spin are one and the same. This type of ‘post-truth politics’ debate is framed by making up the facts that fit your opinion without any consideration of actual reality (or the eighth commandment) – see the following examples: 1. The progressive liberal media machine is trying to discredit the whistle blower by claiming that he is a Syrian when actually he is a Libyan, and has the passport to prove it. 2. The progressive liberal media has claimed that the whistle blower is ‘without a residency permit’ when in fact he has been a resident of Malta for the last 16 years and has the documentation to prove his legal right to this. 3. It has been asserted in the progressive liberal media that the whistle blower is sought by the Libyan secret service for stealing €1 million. I have confirmed with people in the Libyan secret service that this is a complete fabrication and that he is not being sought by them at all. These slanderous lies have led the progressive liberal press to dismiss the whistle blower as being “unreliable” and to maintain that there is no real scandal. So let’s stop for a moment and think. Even if the claims of the progressive liberal media were true – and they are not – it would not make the evidence (eg documents, video and voice recordings, receipts and Viber chats) the whistle blower has in his possession to prove corruption by the “tagħna lkoll” unreliable. This evidence is independently verifiable and confirms his story. Will the government undermine our relations with Libya? The government is stoking a crisis with the UN-backed Libyan Government of National Accord. 4. The most bizarre attempt to slander the whistle blower comes from a person who has been presented by the government and the progressive liberal controlled media as representing the Libyan authorities in Malta. Well, this person is not a diplomat representing any of the governments in Libya and documents are available to prove it. This person – Mr ‘Al-Amin’ – is a representative of just one faction within the Tobruk government – one of the more oppressive fractions and the only one with which the Maltese government still has good relations. The fact that the government is permitting a person to make false claims to represent the Libyan government in Malta and false claims regarding a Libyan citizen in media they control is not lost on the Libyan Government of National Accord. Neither is the fact that – for more than a week – the Maltese government has avoided refuting the fabricated claims made by Al-Amin in the media it controls. The fact that the government is aware that these claims are false and is doing nothing is creating a diplomatic crisis. The false claims therefore clearly must paint the picture that our government wants the citizens of Malta to believe. And they are willing to pay the diplomatic price to achieve this. Will the government undermine the rule of law? The most fundamental duty of the government is to ensure the rule of law and never permit itself to politicise the judicial system. This scandal has forced the government to undermine this fundamental principle and use the police for political purposes. 5. In the first days of this scandal, I was asked to come in for questioning by the police. I told no one about this request. Not even my wife knew. But it was leaked to the press within one hour to make me look bad. 6. The “whistle blower” and the life of his children have been threatened. Even after he officially reported two very clear threats in a matter of days, the government has not allowed the police to offer the protection permitted by law. The AG has a full legal right to offer them full protection yet this has not materialised. 7. The police have committed massive resources into finding the whistle blower because he allegedly does not have the right to reside in Malta. When the police interviewed him, they demanded he immediately hand over the evidence to them or they would arrest him. Normally, the police do not arrest people without evidence of a crime. There are indications that the government wants to find a pretext to deport the whistle blower back to Libya. That would be a human rights violation of the worst kind and counter to both the refuge convention and Maltese law. But they think that this would solve a problem for the government. And if the whistle blower is sent to the wrong faction, I have no doubt that he will be convicted of whatever crime is suitable and locked away for a long time. Or he will simply disappear. As with many scandals, the cover-up generates more and worse immorality, corruption and abuse than the original sin. The attempts to cover up fraud and misuse in the visa system is now perverting the freedom of the press, the rule of law and our diplomatic relations. It may also cost a good man who is exposing corruption at the highest levels his life. While I will return to the work of finding a TV channel that will air the interview with the whistle blower, one question remains. Why is our government allowing a foreigner, who has no official diplomatic status, to lie on their media? Why does our government simply stand idly by while all this is happening in front of our eyes? Has our government been reduced to a puppet on a string and is allowing the illegal deportation of a whistle blower into the hands of unknown people instead of protecting him? Is the government allowing him to be sent away on the pretext of a bunch of lies, to apparently allow a clear cover up of a massive and very lucrative abuse of our visa system and to possibly even allow him to be murdered by proxy?